If your goal is to get your PhD, and write your dissertation or essay so you pass with flying colours, our writing service can assist you in achieving your goal. Superior Dissertations aims to provide the best dissertations and professional assistance to all struggling students who need expert help. There are numerous benefits and features when you decide to opt for online help, whether you want a dissertation written, or just need yours improved, such as getting a paper tailored to your specific needs, getting the paper done by writers with the highest academic degrees and who are dedicated to writing the best papers all day long. 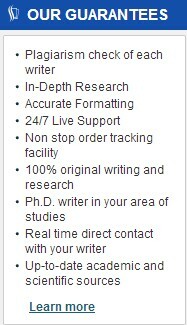 This is what we do, and why you should consider hiring one of our talented writers for your dissertation. Why are students looking for Dissertation Writing Service? A dissertation is one of those tasks that most students dread, as it’s a lengthy process. Not only does the writing process last a couple of months, but it also entails thorough research, knowing the exact formatting rules, as well as having an excellent grasp of spelling and grammar, such as rules of punctuation, proper phrasing and language to use. All of these are major reasons why students avoid doing the task themselves and opt for assistance. Why is it difficult for students to write a dissertation paper? 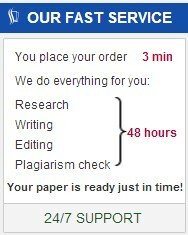 It may be a challenge for any student when it comes to dissertations writing. It’s one of the biggest academic challenges, and it’s quite comprehensive. If you don’t have a good grasp of the topic, lack the writing skills or simply don’t have the time, it can seem like a hurdle that’s difficult to jump over. On top of all that, stress can be a major culprit that makes a difficult task even more impossible, preventing you from writing the best dissertation a student could ever write. No student can write high-quality, professional dissertations as an expert writer can, which is also another reason why students don’t dare to write the perfect dissertation on their own. If you’re looking for a custom dissertation from an experienced writing service, that can have your dissertation written in record time, choosing our dissertation assistance service is the best decision you could make. Our team consists of solely experienced and expert writers, who have written hundreds of dissertation on high quality. With over 2 decades in the business, we are the ultimate online writing service to turn to. 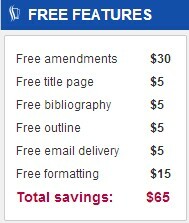 Our prices are affordable, starting as low as $19.99 per page, and there are discounts for our most loyal customers. The price varies according to the quality level and deadlines. How to Order from Our Dissertation Writers? Getting help writing a dissertation from our service is super simple, fast and easy. We’ve designed a special order form for all who want to purchase our service, it’s short and easy to fill out. Afterward, one of our professionals will get in touch with you. The form will contain the basic information and requirements, however, once you get in touch with the writer, we encourage you to give the writers as much information as possible. 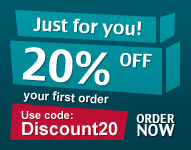 This enables us to complete your order by the given deadline as well as to do the task successfully and create the paper that you had in mind. When you’ve placed the order, just sit back and relax. While you’ll be able to find help online easily, our service has been on the market for more than two decades offering assistance to students who needed help in a variety of fields. Our ability to craft the perfect papers made our customers come back to us whenever they needed professional help. We take pride in providing the best service possible, and establishing trust in a competitive market.